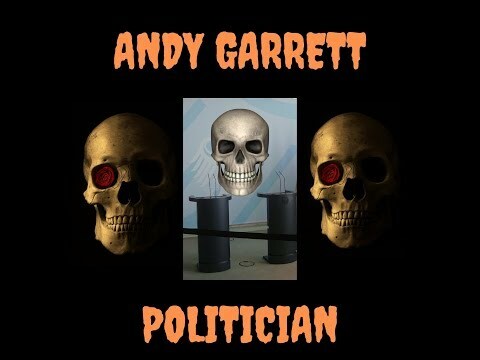 Andy Garrett - Guitar - Here is a slideshow video of my latest vocal tune "Passageway to Time", for those of you who like Classic Rock music. Enjoy, and cheers to all who listen!!!! 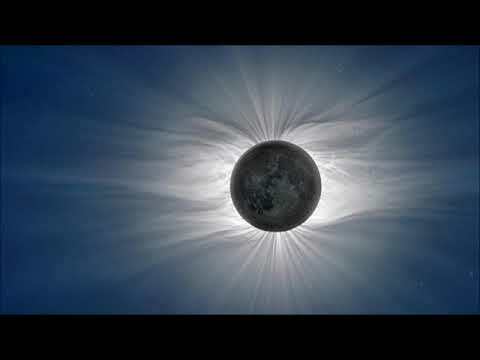 Here is a slideshow video of my latest vocal tune "Passageway to Time", for those of you who like Classic Rock music. Enjoy, and cheers to all who listen!!!! Started playing guitar when I was ten. 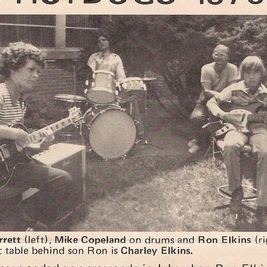 Started playing my first gigs with my best friends Ron Elkins and Mike Copeland of Battle Creek, Michigan shortly thereafter. Blue Oyster Cult and Saxon at Wings Stadium in Kalamazoo, Michigan. I went with my best friends (and awesome musicians) Dean Watts and Duke Begley from Battle Creek, Michigan. 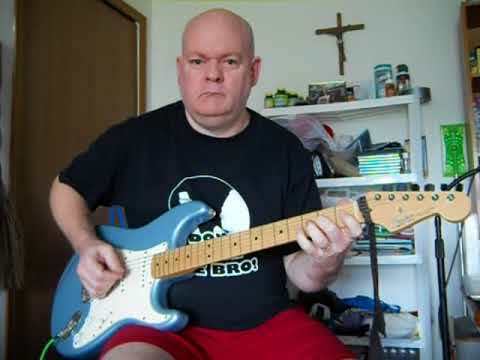 I play a Fender Strat, an Epiphone Nuclear Les-Paul, and an Ibanez Strat with Floyd Rose as main guitars (I have many other collectables that are sentimental). 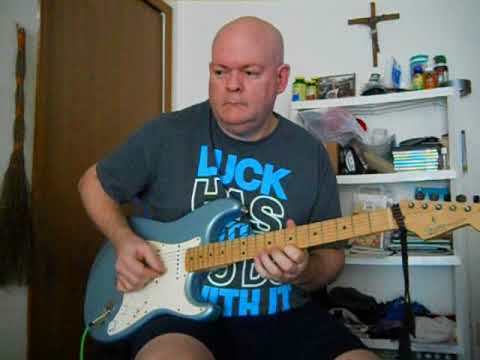 My favorite guitar is the one my Wife surprised me with on my Birthday....my Baby Blue Fender Fat-Strat. The Beatles made me want to pick up the guitar and learn to play their songs. I first heard them on 45 records, then on albums. I also loved watching Roy Clark on Hee-Haw every week. 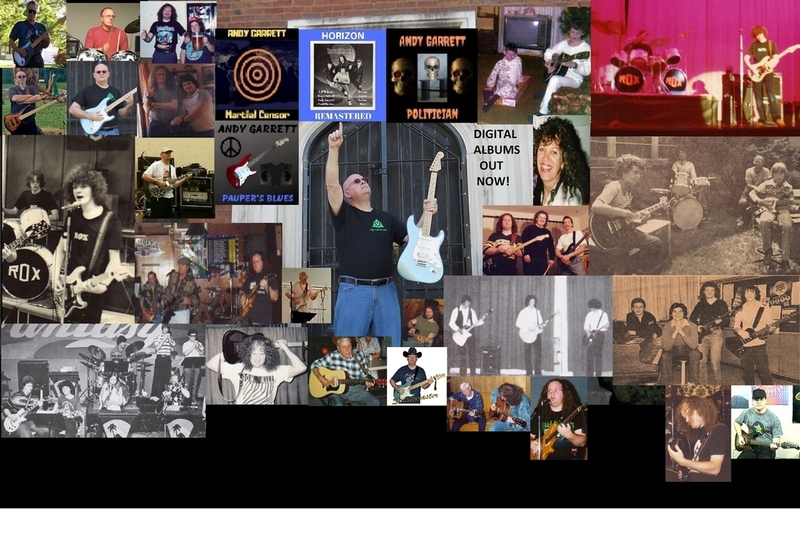 I used to play in many garage/basement bands that went out and played 100's of gigs over the course of 30 plus years....many before I was even an adult. Back then it was mostly Rock....but now days, I tend to lean more towards Bluegrass, Blues, Rock, Metal, and Jazz combined. 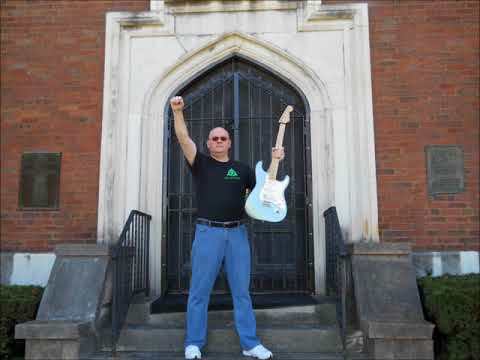 I would love to jam with both Steve Kaufman and Robert Shafer....because they are at the top of their class in Championship Guitar Playing....they can play "ANYTHING"!!!! 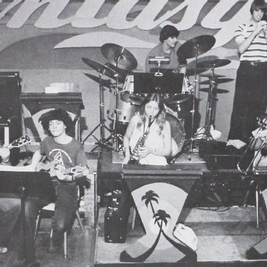 The largest audience was at Wexford Civic Arena in Cadillac, Michigan with the band Horizon. We backed up Black Oak Arkansas and Rare Earth!!!! The smallest audience is when I just play for my Wife....and, trust me, she is my biggest critic and fan at the same time (LOL....just kidding). Hello friends. 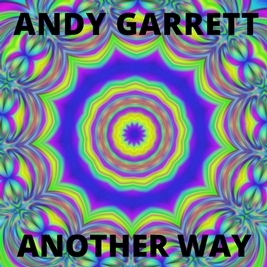 Here's the cover for my latest digital album "Another Way", featuring over an hour of Intense Rock Guitar Jams with Great Beats. 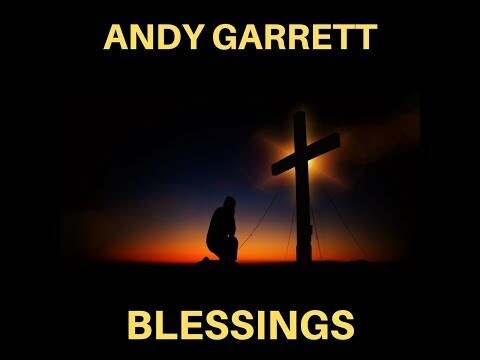 The quality of this recording is amazing, and it has been Mastered to Premium Album Quality for your listening pleasure (Out on Spotify, CDBaby, etc.). Add any of the songs to your custom playlists (for long drives, working out, getting through your shift at work, etc.) and share them with the world. Cheers to all of you!!!! 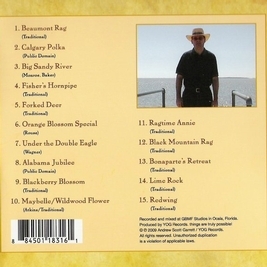 Just letting you all know about my brand new Classic Rock/Rock and Roll album out now on Spotify, CDBaby, etc. This is the best sounding album I have ever put out....lots of great songs....check it out today, and thanks for all of your support on Fandalism!!!! Here is the new album cover from my Metal/Rock band called "Mij Sugen". The brand new album is called "Ballistic"; and it's now out on Spotify, iTunes, Apple Music, Pandora, and many more. 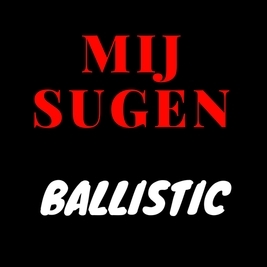 Just search under the name "Mij Sugen", and save it to your collections. Thanks for all of your continued support, and cheers....many more to come!!!! 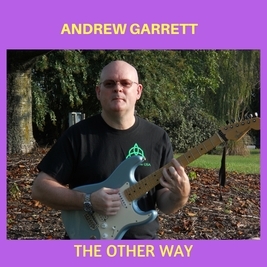 Here is my latest album "The Other Way" (dedicated to my Wife, Pat) now out on Spotify, iTunes, Apple Music, Pandora, and many more. 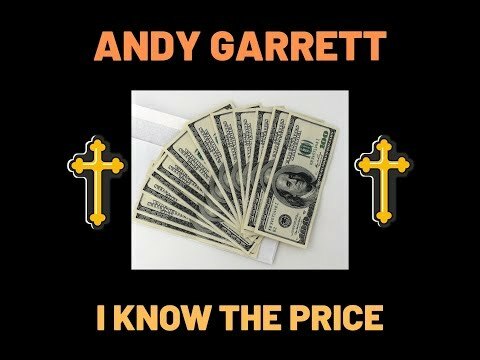 Just search under the name "Andrew Garrett", and save it to your collections. Thanks for all of your continued support, and cheers!!!! 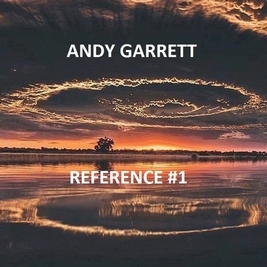 Here's a link to the new demos featured on this site, available through CDBaby worldwide at: https://store.cdbaby.com/cd/andygarrett10 Thank you for all of your continued support!!!!! 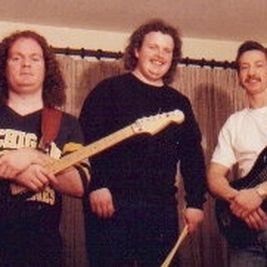 One of my favorite Kalamazoo jam bands I was ever in, featuring best friends (Drum God) Don Cool and Ron Elkins on Bass!!!! 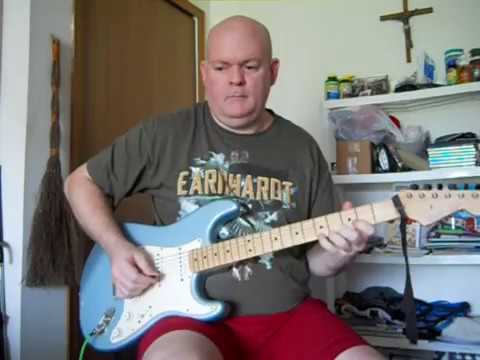 This is how I look now days, holding my favorite Fat-Strat that my Wife Pat got for me back in 2007 for my Birthday!!!! 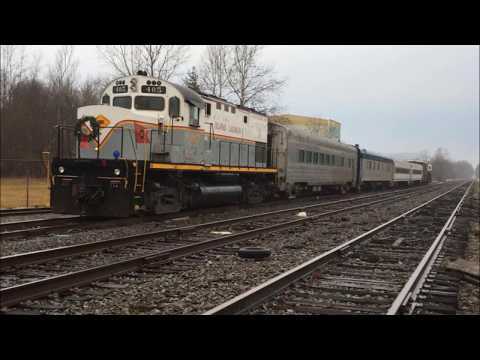 At the train station in Battle Creek, Michigan with one of my best friends ever, Dean M. Watts!!!! I was leaving for Oakland, California that day. 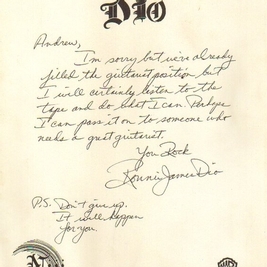 A letter I received from the late great Ronnie James Dio after sending him an audition tape back in the early 1990's. I couldn't believe he was kind enough to take the time to respond like that!!!! 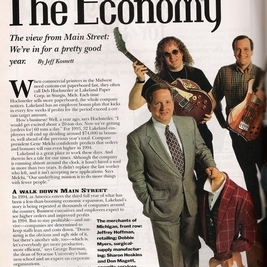 My 15 minutes of fame appearing in Kiplinger's Personal Finance magazine back in 1994 while working for Dean Markley Strings in Kalamazoo, Michigan as a String Tester. 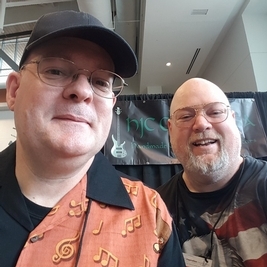 Hanging out with best friend Harold Cagle at the 2016 Summer NAMM show in Nashville. He was kind enough to invite me there, and we had a great time!!!! Cheers, everyone. 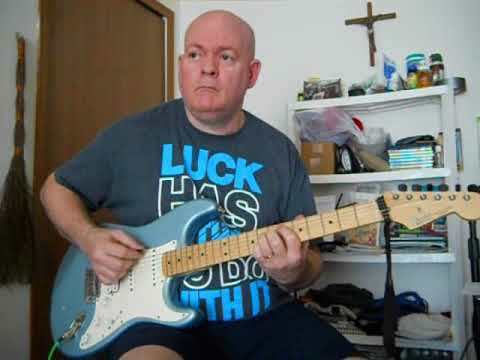 Here is a slow blues in the footsteps of Jimi Hendrix and Robin Trower called "Pauper's Blues". 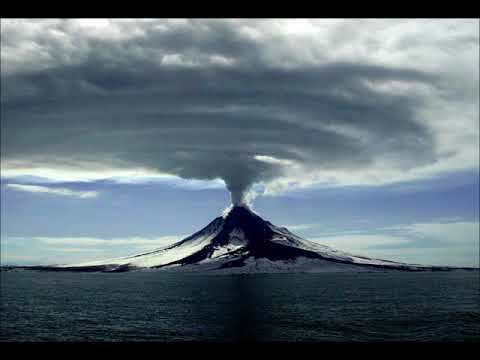 It is actually a re-arrangement of a song from a band I played in years ago called "Atlantis"....but, I like this version just as good. I hope you can dig it, too....and it's dedicated to all of my ex band members who (like me) never made it rich and famous, but will always Rock out from the heart and soul to the end!!!! 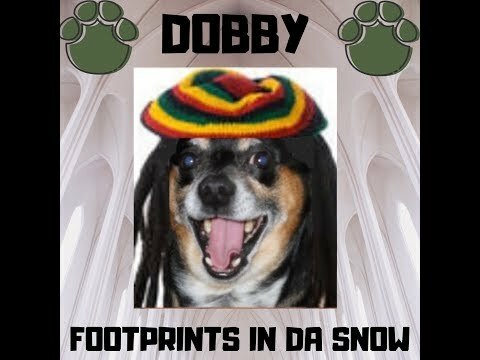 This is a Reggae song that I really had a lot of fun making for our dog, Dobby....and it really captures the many great memories of our lives together in this world (through his eyes). He is truly just like one of our children now; and may there be many more great years, fun times, and songs ahead in our lives together!!!! Good day to all of you. My Wife, Pat, said she needed a piano tune for some Spotify playlists she was promoting....and she didn't want to leave me out. So, I threw this one called "Blessings" together for her as quick as I could....and I hope you like it (I also hope it helps you think of all of the wonderful blessings you have in your own life each day)!!!! Hello to all of you. 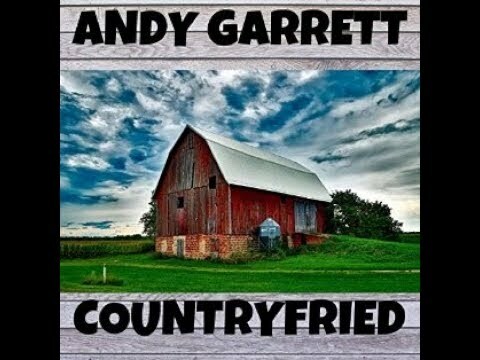 Here is a brand new chicken pickin guitar song called "Countryfried" for you to enjoy. My Dad used to play the good Country music for me back in the late 60's/early 70's, and it influenced my playing very heavily. 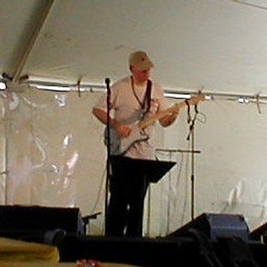 I would hear players such as Don Rich, Roy Nichols, James Burton, Hank Garland, etc. from my youth....and more modern players such as Robert Shafer, Johnny Hiland, Redd Volkaert, Brent Mason, Clint Strong will always live on in my own music. 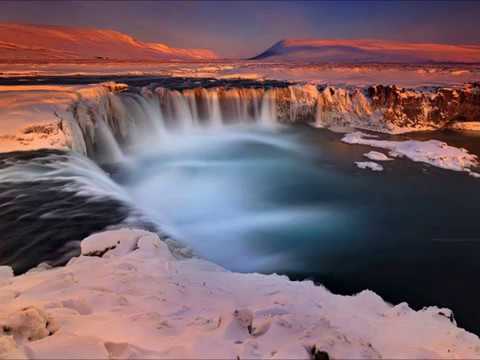 Enjoy this tune....and have a great day!!!! Greetings, everyone. Here is a brand new tune I wrote for anyone who likes the Blues. 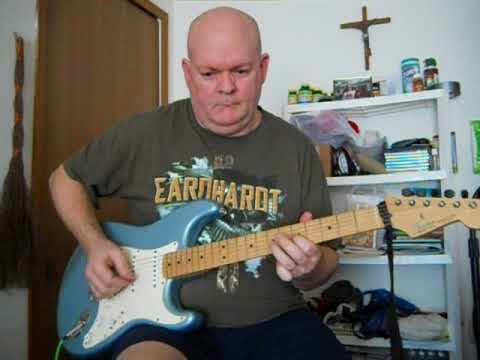 It is a shuffle in the style of Stevie Ray Vaughan, and I hope to reach out and touch everbody in the entire world with this one. Cheers to all of you who take the time to listen!!!! 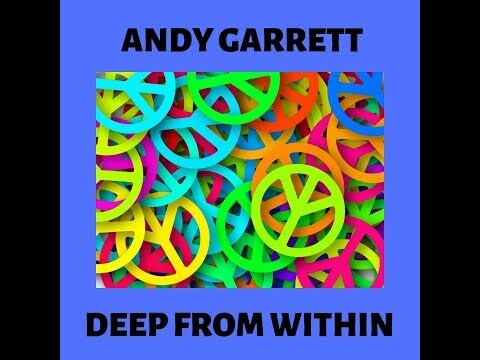 Here is my powerful new song titled "Deep From Within", and I am very proud of the melody on this one. It was originally inspired by the great guitarist Tony MacAlpine and his courageous battle with cancer a few years back. I would also like to dedicate this to virtuoso guitarist Jason Becker and his amazing battle with ALS. Cheers to all of you who really listen, and have a great week!!!! 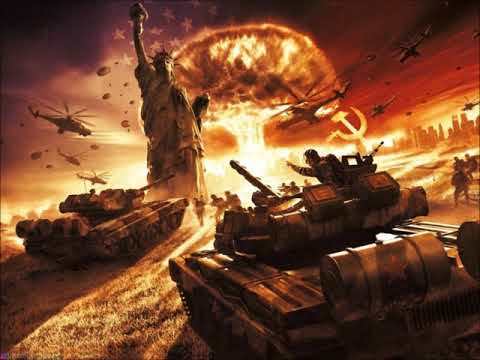 Here is a slide-show video for my brand new song called "Martial Censor", and it is inspired by another favorite band of mine called Iron Maiden. 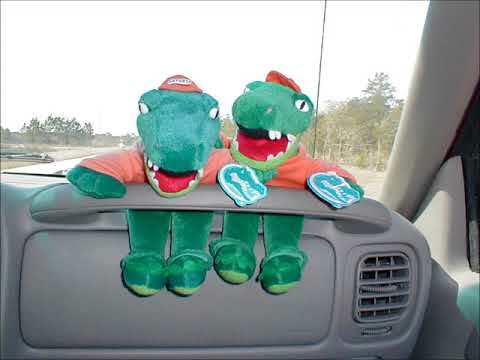 I'll never forget the first time I heard their awesome duel guitar harmonies! Crank this one up all over the world....and don't forget to read the included lyrics. Cheers to all of you!!!! 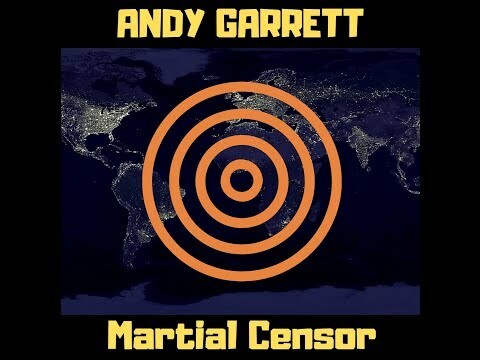 "Martial Censor" lyrics (copyrighted, published 2019 Andy Garrett) Verse 1) They know everything you know, They know everything you do, They see everyone you are, They have a special file on you; the martial censor. Verse 2) They reign high above your head, They reign high above your life, They're the ones who hold you down, Keeping you below the line; the martial censor. Here is a slide-show video for my brand new song "Born to be Dead". 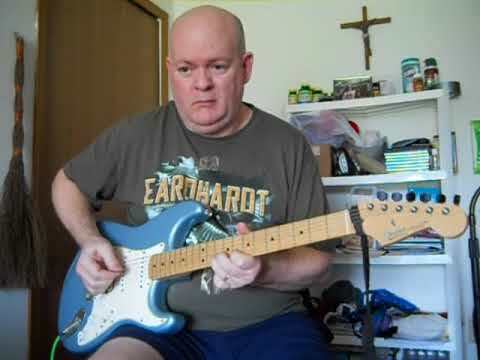 When I was first playing Rock music as a kid, I always heard this sound in my head of the guitar being cranked up louder than what I was hearing on the radio. Then, a friend of mine put an album on by Black Sabbath that changed my life forever. 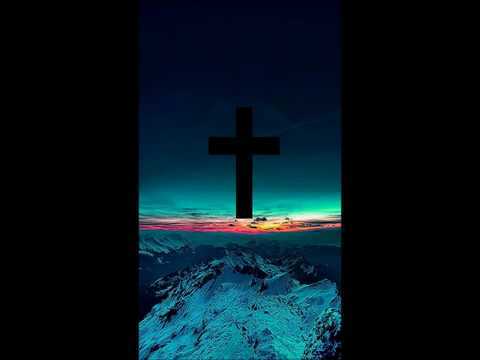 This is a song I wrote inspired by them, and it has a very unique underlying message in the lyrics (which I have included). Crank it up now world-wide, my friends!!!! 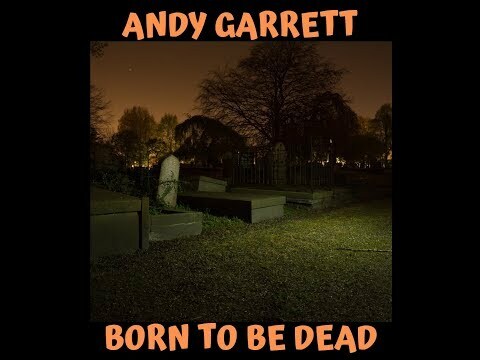 "Born to be Dead" lyrics (copyrighted, published 2019 Andy Garrett) (Verse 1) Crucified and sacrificed, my back's against the wall, Told to die by honor, told to take the fall, Wishing I could go back now to change forgotten years, Waiting for the final card to wipe away the tears. (Verse 2) Nothing good could keep me home, I signed my life away, Thought I'd have a better chance, leaving all the pain, Promises of better life, fortune and fame, Just another hero, never seen again. (Chorus) See me now, look upon my face, I'm the one who was born to die, Gone forever without a trace. (Verse 3) The final hour upon us all, daydreams of the past, Will I take my final breath, will it be the last? Left behind, forgotten souls, paid to go away, Off into the darkness, waiting at the gates. (Chorus) See me now, look upon my face, I'm the one who was born to die, Gone forever without a trace. People recently have asked me....can you still play guitar the way you did back in the 80's/90's Metal years? Well....I'll let you all be the judge. 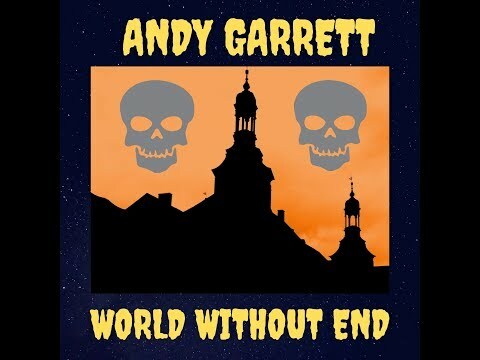 Here's my brand new rippin' guitar song "World Without End" (personally, I think this sounds better than before)!!!! 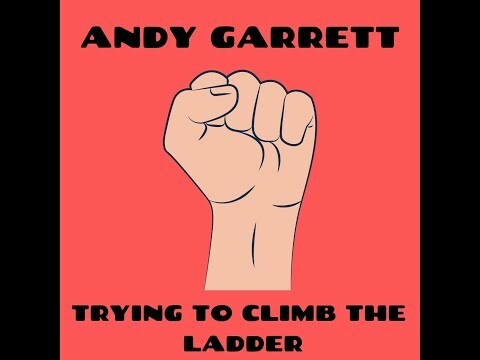 Here is a vocal song about the saga of the working people of the world and their current struggles titled "Trying to Climb the Ladder". I hope it helps to get you through your day out there in this tough world we live in while trying to survive the best we can....cheers!!!! Good morning to all of my many friends throughout the world. Here is yet another short Classical Acoustic diddy for your enjoyment that I re-recorded in a bigger room for a more ambient live sound. Be Blessed always, and know that there are many more songs of many different styles yet to come!!!! 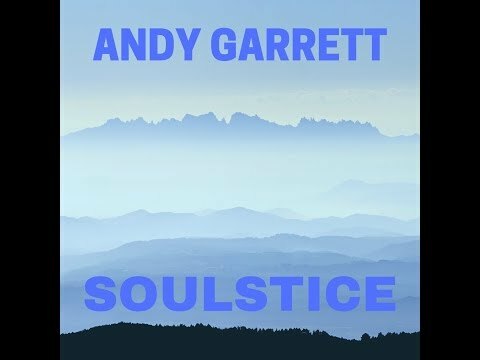 Here is a short Classical Acoustic Guitar piece titled "Soustice", which I re-recorded in a bigger room for a more ambient live sound. Just a little something different to brighten your day and prepare you for the upcoming weekend....enjoy!!!! 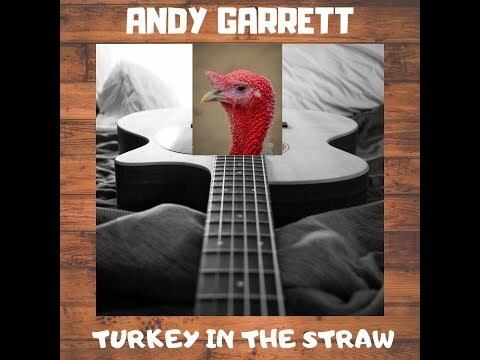 Here is the slideshow video for my latest all acoustic pickin' song "Turkey in the Straw". 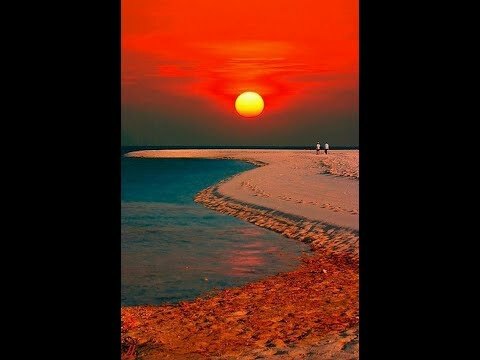 Just some good ole Country/Bluegrass melody playing on a really fun song (I still love playing the acoustic guitar)....and I hope it brightens up your Sunday everywhere world-wide!!!! 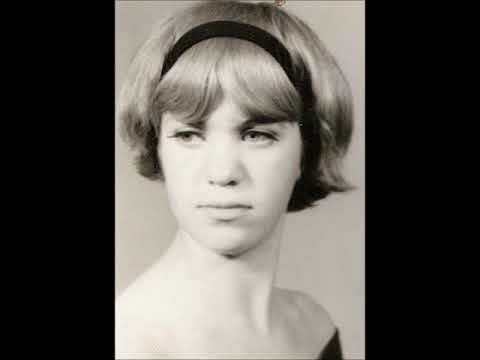 Here is the slideshow version of my latest vocal song "Another Picture of a Face". 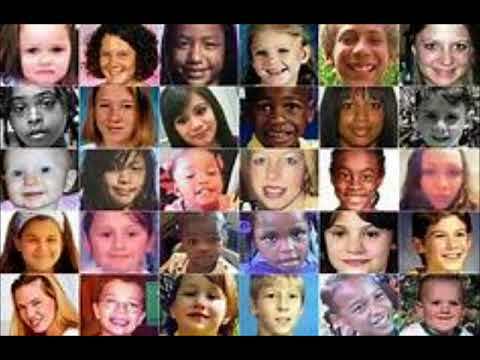 It deals with one of the biggest epidemics in the world today....missing/runaway children. 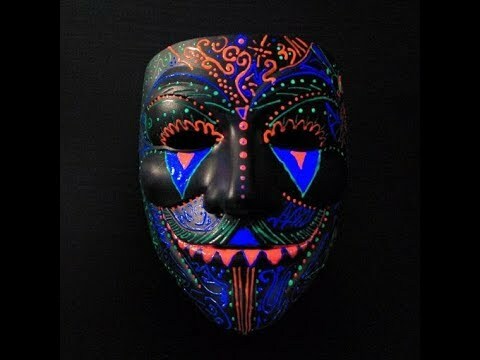 Growing up seeing the faces of children on milk cartons, and watching shows like America's Most Wanted; is what inspired this song. Thanks to everyone in the world who takes the time to listen!!!! 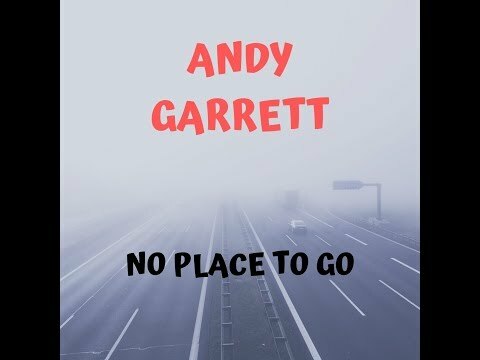 Here's a slideshow style video of my latest fun Rocker vocal tune called "No Place to Go". 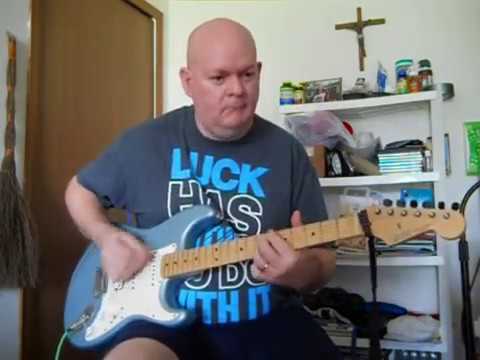 This was actually the 2nd song I ever wrote sometime back in the late 1970's, and it was only used back then as a performance tune in one of my band's live Rock and Roll setlists. Enjoy it now in a more modern studio version, and thanks so much for listening all over the world!!!! 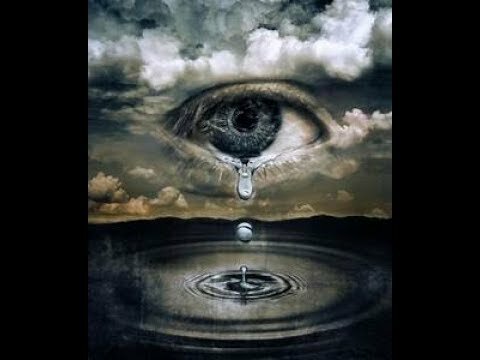 Here's a song I want to dedicate to everyone who has recently lost a person close to them....a family member, friend, etc. who has passed on (way too many lately in my own personal life). 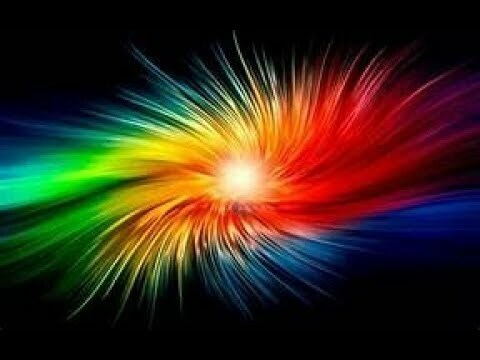 This is a healing song I wrote to help me get through these sort of occurences, and I hope it helps you in some way too. 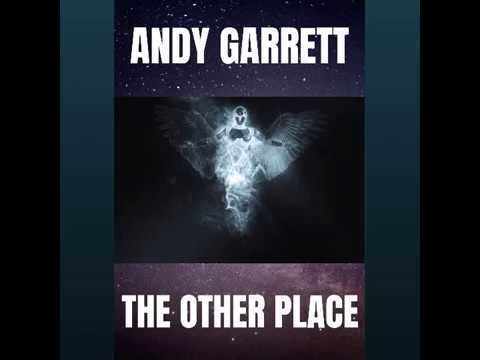 It's another Nashville style singer/songwriter song called "The Other Place". Peace to all who hear it....I really do believe we all cross paths for a reason in this lifetime!!!! 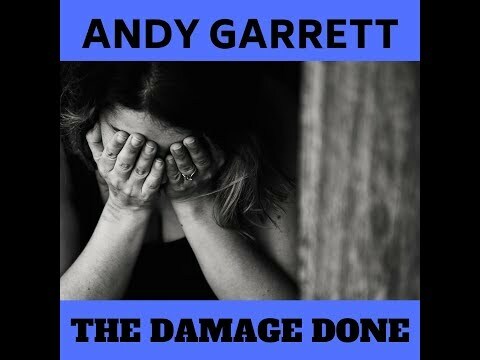 Here is a slideshow video of my latest Nashville style vocal tune called "The Damage Done" for those of you who don't do Spotify, itunes, etc. I'm just really trying to push an overall message with the lyrics of these recent vocal songs....basically, singer/songwriter style tunes. I really believe more than ever that these songs can resonate with the entire world, eventually. Thank you for taking the time to listen, and for supporting Independent Music!!!! Here's another vocal tune for you all....just some good ole Rock and Roll. It's called "Power of Control", and it talks about taking control of the things you've always wanted to do in your own life....it really is up to you. Crank it up all over the world, and thanks so much for supporting Independent Music!!!! 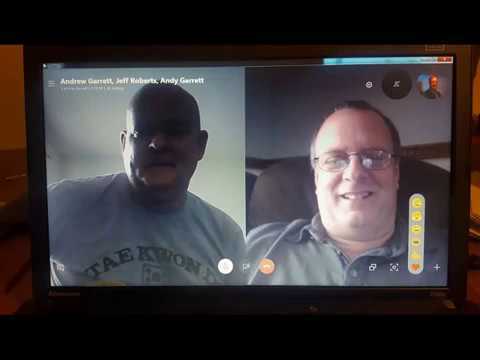 Here it is, folks....the full interview drummer Jeff Roberts and myself were lucky enough to do on the amazing Graham Doughty Radio Show in the United Kingdom via Skype. We were promoting our latest album release "Horizon Remastered", which is available now on all digital outlets worldwide. I edited the interview down to just us talking, and the original tunes that were played. Once again, nothing was planned out; so it made it more fun for all of us that way....and, hopefully; for the listeners as well. Enjoy it, thanks so much for supporting independent artists, and may there be many more shows like this one to come. We feel very Blessed, and hope people enjoyed the personal shout outs we gave. We need more DJ's like Graham promoting independent artists....just an amazing person. Special thanks to Jackie Marie and Chris Duval, as well!!!! Happy Sunday, everyone. Today I am honoring a special request from one of my best childhood friends that I actually grew up with in my old neighborhood in Battle Creek, Michigan....Craig Artis. He was always my friend, even when I didn't think I had friends. This is "Runaway"; which happens to be a very famous song that was written when Del Shannon was in Battle Creek. Having lived there for 30 years of my life, I can relate to it. This will also be my last video for awhile due to working on music for some upcoming projects. Cheers to all of you, and thanks again for watching/listening!!!! We made it to Friday again, everyone. 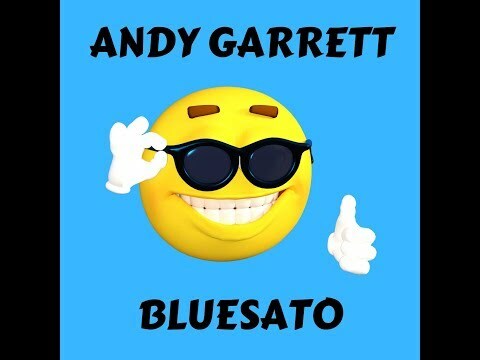 Here's an electric version of "Blue Bossa" to help get you through your day....cheers to everybody around the world!!!! Here's a Thursday song to perk you up called "Avalon". 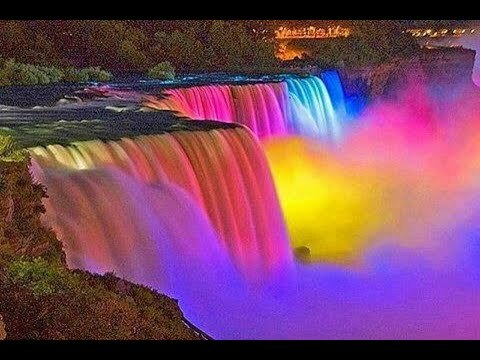 I love the chords and melody on this one....enjoy!!!! 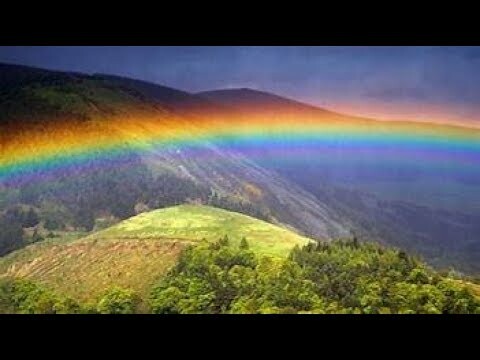 Here's a little jam on a song called "Beyond Us All" that I want to dedicate to my lifelong friend and musical Brother, Jeff Roberts....who is currently recovering from a medical procedure. Cheers to you, always!!!! 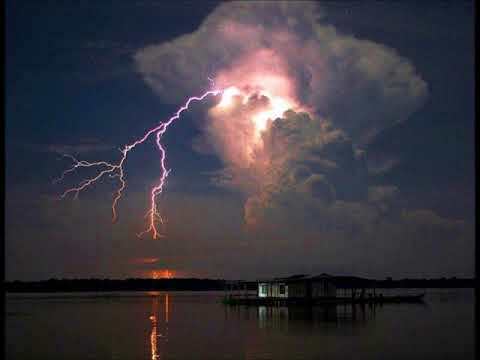 Here's a song to get your day going....an electric version of "Tico Tico". Have a great week, everyone....cheers!!!! Happy Monday, everyone. 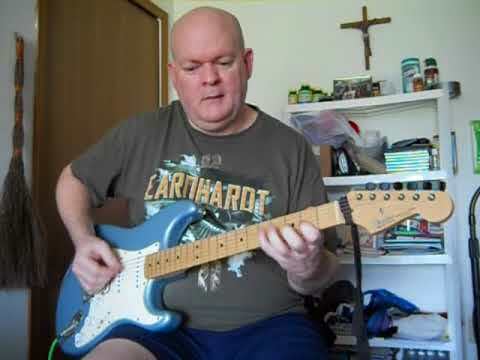 I figured I would slip in another Blues song for you at the beginning of your week....here's a little bit of "Basie's Blues" for you!!!! Here's a Blues tune that was originally going to be an outtake....but I had to leave it in. You'll see why if you watch it....got to have fun, my friends!!!! 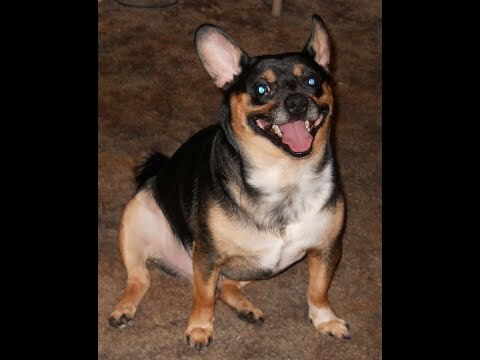 Here's a request from my little dog "Dobby" for that big ole tom cat he sees on his morning walks everyday....a tune called "Alley Cat". 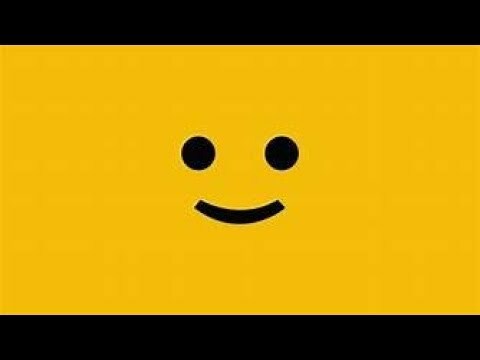 I hope it puts a smile on your face!!!! Happy Sunday, everyone. I'm always feeling very blessed to be alive. Here's a fun one that I learned from the Flatpicking legend himself, Steve Kaufman....it's called "Paper Moon". Enjoy it, and have a great day!!!! I hope everyone is enjoying their weekend. 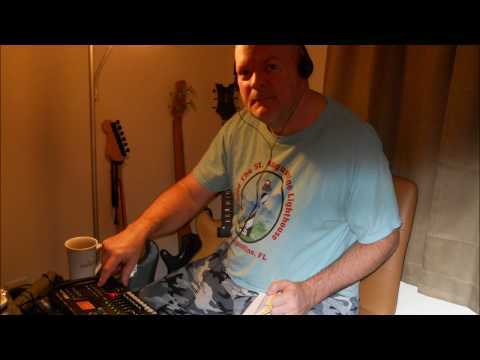 By request, here is a totally unscripted improvisation on a song called "Wave". One of my old students wanted to see this....so, enjoy. Cheers, to everyone world-wide!!!! Happy Friday, everyone. Today I have a medley for you...."Ain't Misbehavin'" into "Watch What Happens". I hope it lifts you right up into that weekend you've been longing for....cheers!!!! 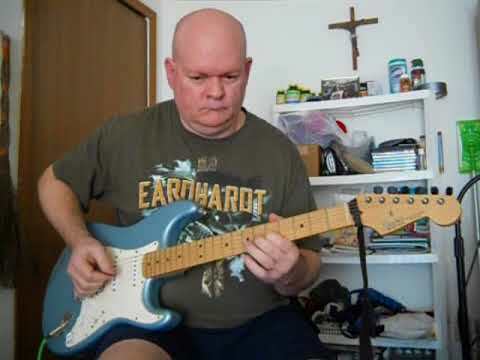 Here's one of my favorite Jazz chord melody tunes, "Polka Dots and Moonbeams". Very challenging to play....but, I enjoy it each time that I attemp it. 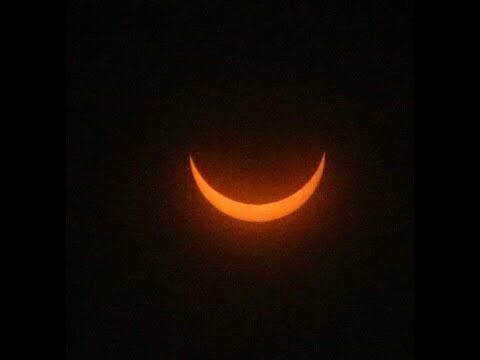 Enjoy it, my friends....where ever you are in the world!!!! I'm very honored that my song "Beyond Us All" (from the "Another Way" album) has hit 10,000 streams on Spotify, since being released in April of this year. I know this doesn't sound like a lot; but anyone out there who is an unknown independent artist knows how significant this really is, and how hard it is to even get a song past that 1000 mark on there. 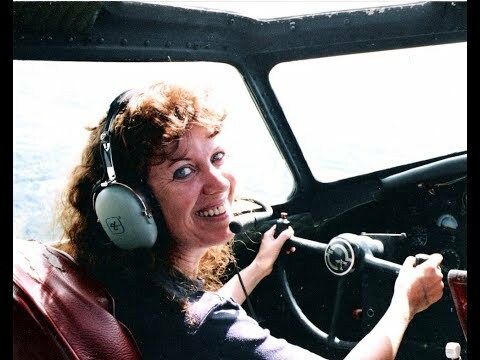 Cheers to my Wife Pat who is constantly breaking new ground daily for, not just me; but for many other artists in her Facebook Spotify and Playlist groups. Thanks to all of you listeners, playlisters, radio DJ's, etc....who continue to support this music all around the world. We truly couldn't do it without you....many more great projects to come!!!! 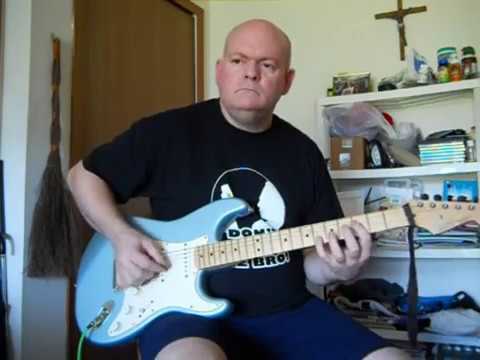 Here's a song that started out as a Bass riff from my life-long friend Dean M. Watts, and a Guitar rhythm from yours truly....over 40 years ago at a basement jam in Battle Creek, Michigan. Enjoy "Theme of GW", and let 'er rip!!!! Happy Friday, everyone. 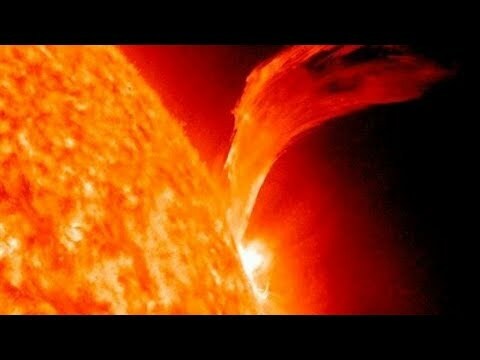 Here's a song that will make you move and groove....Rock and Roll will never die!!!! Here's a song I wrote that's dedicated to everyone who still follows their dreams. Cheers to all of you world-wide!!!! Here's a tune I wrote that was inspired by one of the greatest Rock bands ever, Led Zeppelin....just some good ole Bluesy Rock. I want to dedicate this one to a very good musical friend of mine who is recovering from surgery....cheers to you, Brother in Rock!!!! Here is a song inspired by the late great guitarist Randy Rhoads called "Afterthought". May the many clashes of todays society somehow result in peace before it's too late!!!! 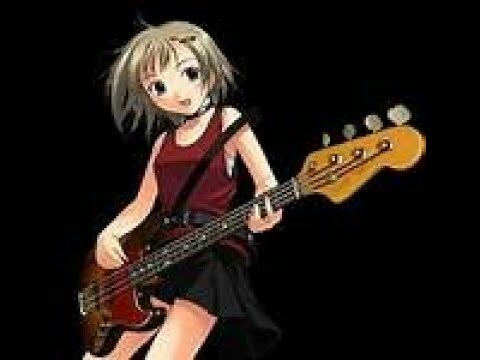 Here's a Funky Rock tune called "Rockin' Woman"....dedicated to all of the female musicians out there who Rock and Roll just as hard as the men. 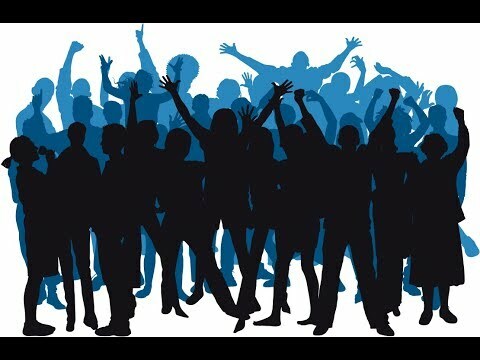 Crank it up, jam out, and cheers to everyone who really listens!!!! Having trouble waking up on your Monday? 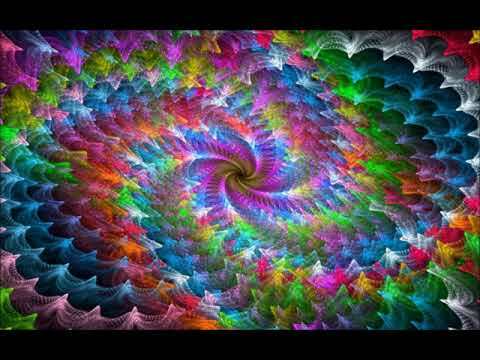 Here's a song off of my latest album that will get the oxygen and bloodflow going in your brain....enjoy!!!! 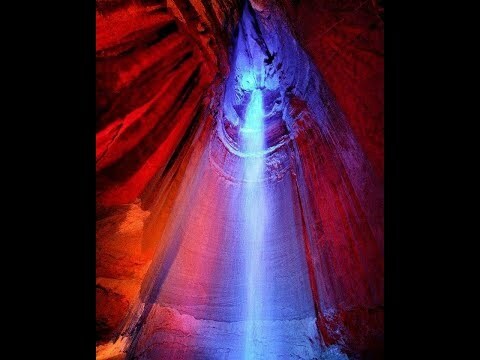 Here's a song called "Valley for Truth" off of my latest album. The title comes from people searching the world over for a magical place that they will never find, because it already exists within themselves!!!! Here's a song for all of those who still have hope in the world!!!! Happy Friday, everyone. Even though it is technically Friday the 13th....not to worry; just throw your hands in the air and celebrate with music. Cheers to all of you who take the time to listen!!!! 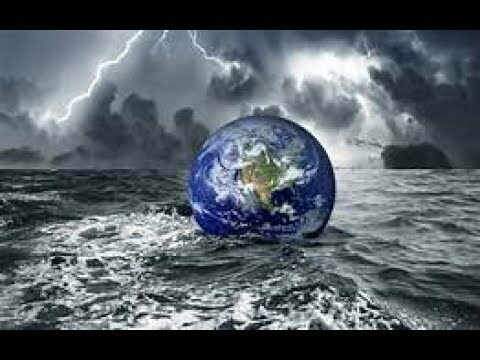 Here's a song off of my latest album "Another Way"....and it's about not wanting to see us all gone in the near future due to stupidity. Cheers and peace to everyone all around the world!!!! 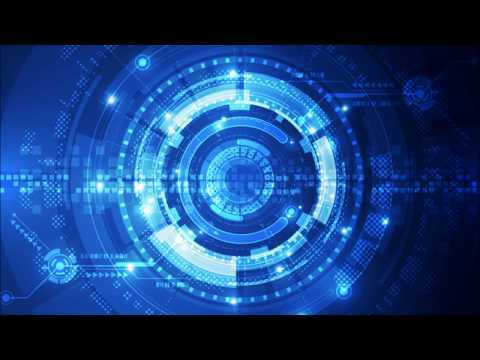 Here's just a good old instrumental Rock and Roll song in the spirit of the 60's and 70's classic hits, but with a modern edge. It's called "You are my Life"....enjoy it, my friends!!!! 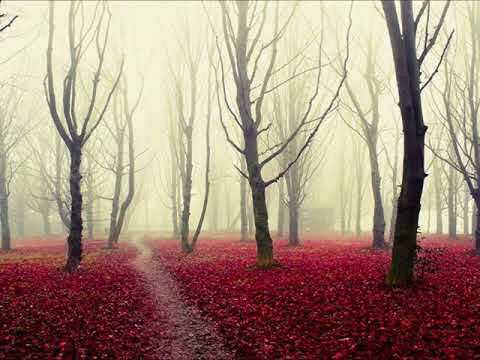 This is a brand new instrumental version of a song I wrote called "Song of Fortune". 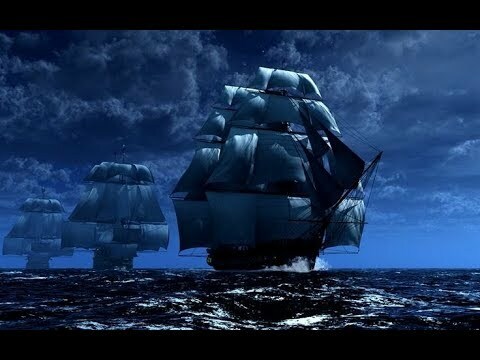 It's about all those who sail the oceans of the world searching for treasure, while the only true treasure is life itself....enjoy and, cheers!!!! 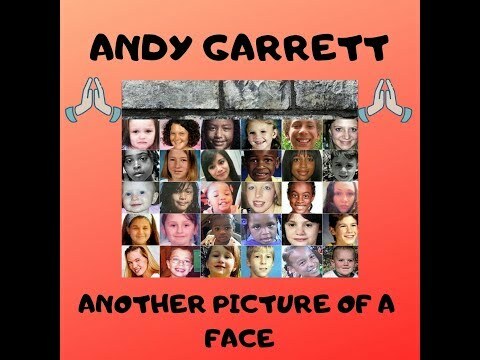 Here is a brand new instrumental version of a song I wrote called "Another Picture of a Face". This is in reference to all of the photos of missing children that, unfortunately, seem to keep increasing all across the world. We need a world that is safe for all of our children!!!! 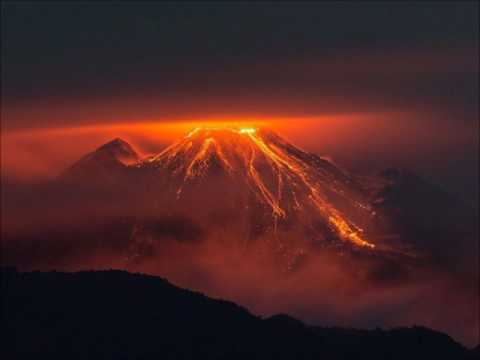 Here is a brand new instrumental version of a song I wrote called "The Damage Done". It's a song about not being able to take back the regrets and pain of a broken relationship/friendship. I hope you like it, my friends!!!! Here's a brand new instrumental version of a Country style Rocker I wrote called "Trying to Climb the Ladder". 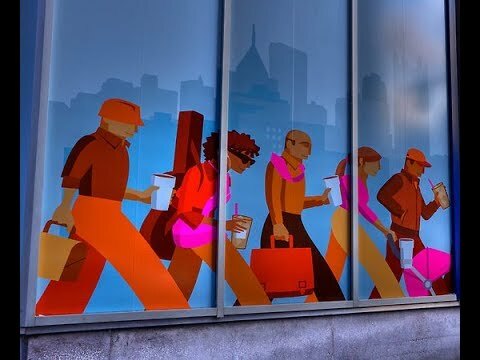 It's a song about the every day struggles regular working people (like myself have getting through life. I sure hope you like it....and, cheers!!!! 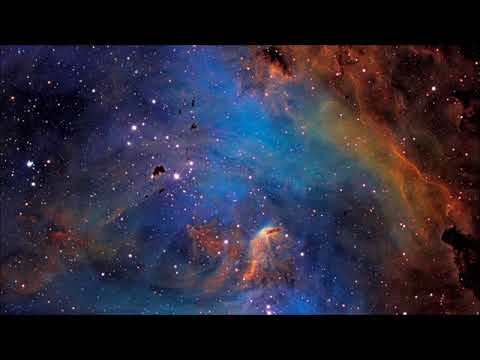 Here is a brand new instrumental version of a song I wrote called "The Other Place". It's a song about not taking life for granted before we pass on to the other side. Enjoy this one, my friends....many more to come!!!! 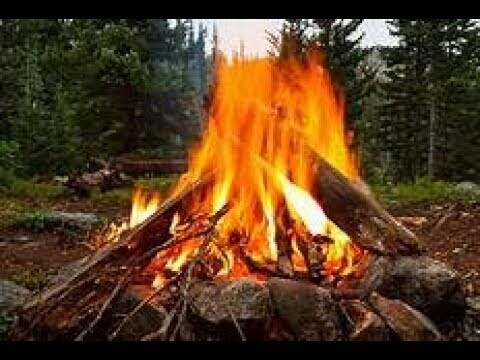 Here is a brand new instrumental version of a song I wrote called "Simple Man". 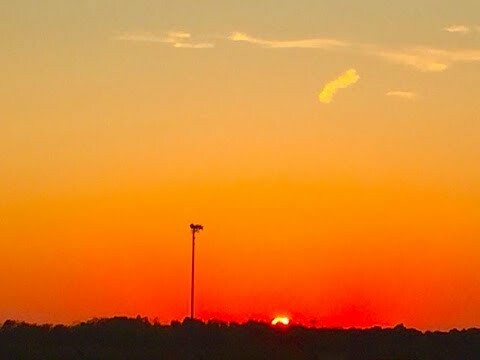 It's about wanting to disconnect from the hassles of the current modern world, and just live a simple life (which gets harder to do every day that goes by)....enjoy it on your Monday!!!! 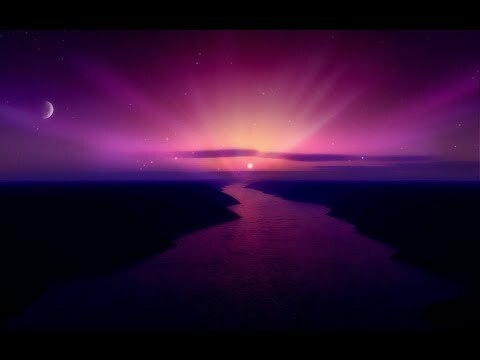 Here is a brand new instrumental version of the song I wrote for my Wife called "The Way You Wanted Me". I also put together some of our favorite photos past and present of us growing up over the years. This is one of my all time favorite songs, because of the strong melody. I also feel this song could very easily cross over into just about any other style. I hope you enjoy this very special new version!!!! 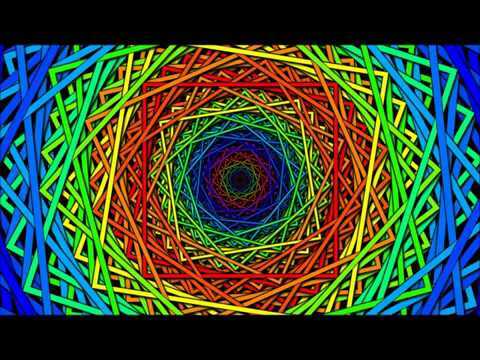 Here is a song I wrote a few years back that was influenced by the Latin-Rock style of Santana, called "The Mover". No matter where you are today....get up and dance!!!! 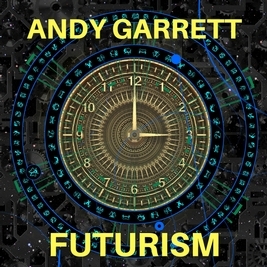 Here is a very unique song called "Futurism". I've had this one back on the shelf for many many years (since the early 1980's), because it never really fell into any musical category I could think of. 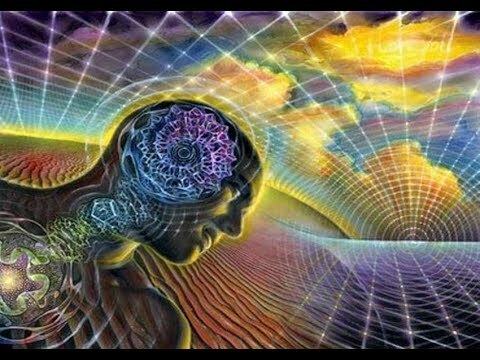 Listening to it; you must keep an open mind, and just enjoy it for what it is....totally original music. Chime in, and let me know what you think....cheers!!!! 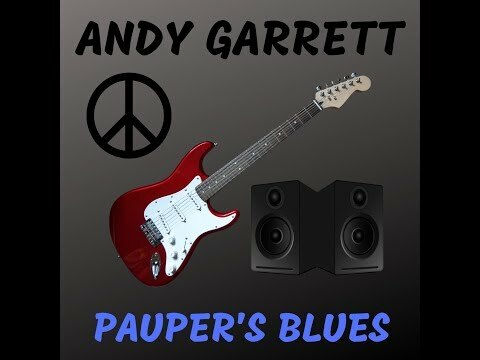 Here you go, everybody....by request; here is a never before heard Blues tune called "AG Blues". I dedicate this one to my best buddy Bobby Champion over in East Tennessee. 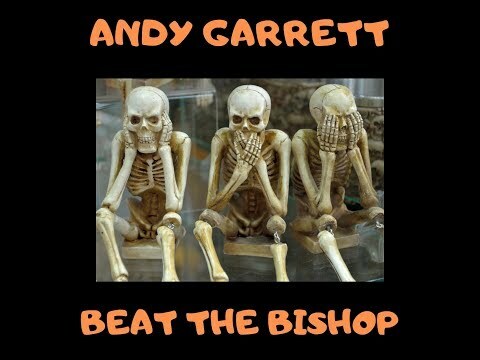 He's been bugging me for years to put out some Blues stuff....I hope you all like it and, cheers!!!! Happy Saturday, everyone. What do you do when it's raining outside? You record a song....LOL (well, that's what I do). 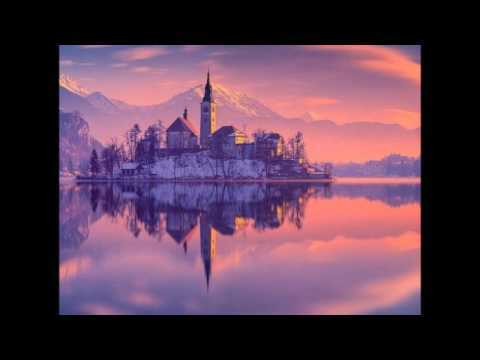 This song has never ever been heard before, because....it was the very first original song I ever composed back in 1978 when I was 13 years old (I really am ancient, huh?). So....enjoy it; because it has never sounded like this. Cheers to everyone world-wide!!!! 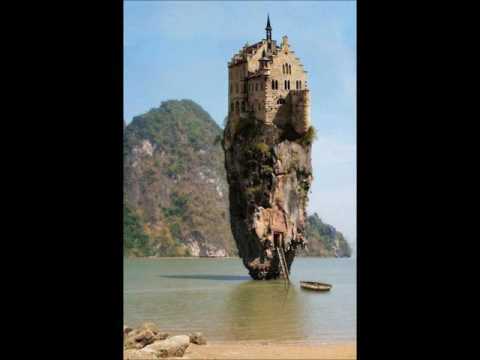 Greetings, everyone....here is a song that all of you Classic Rock folks should really dig. I actually wrote this back in the late 1970's, but it was never recorded until now. Let me know what you think, and cheers to everyone in the world!!!! Here you go, friends....this is a newly recorded instrumental version of the Thrash-Metal song "Twisted" by "Mij Sugen" band. This is a preview of what will be coming up on the next album later this year, except there will also be "vocals" on the final album version. Enjoy this preview for now; with much more to come....and, cheers for all of your support. Here's another Hard-Driving in your face Rock Guitar tune that was never before officially released. This version finally does it justice....let your speakers tell it like it is and let 'er rip; cheers!!!! 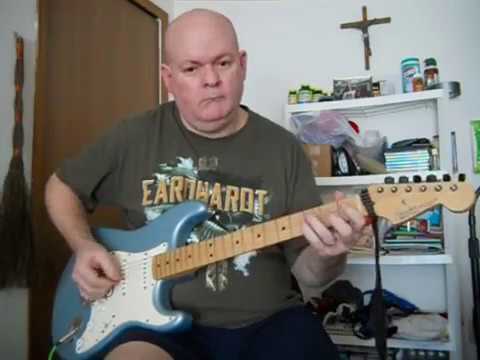 Here's a Super High-Speed Rock Guitar Shred-Ripping Extravaganza titled "Sick of It". I dedicate this one to all of those effected world-wide by the school shootings and violence that never seems to stop in our ever changing society....may this madness cease to exist before it's too late for our youth!!!! Here's a slow melodic tune I've been wanting to re-record for quite some time now; and I have to say....it's finally listeable after all of these years. Enjoy this one, my friends....and thanks for listening!!!! 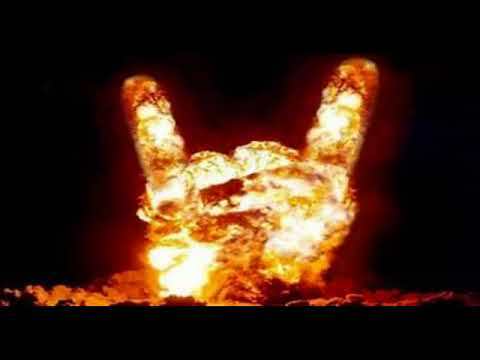 Here is a Driving Hard Rock Original Guitar song inspired by the style of the late great Ronnie James Dio....let 'er rip, and cheers to everyone worldwide!!!! 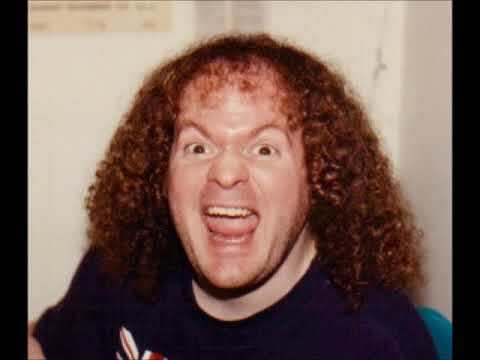 Here's a Speed-Metal Guitar Extravaganza from a few years back that I wrote to keep my fingers and picking hand in shape. 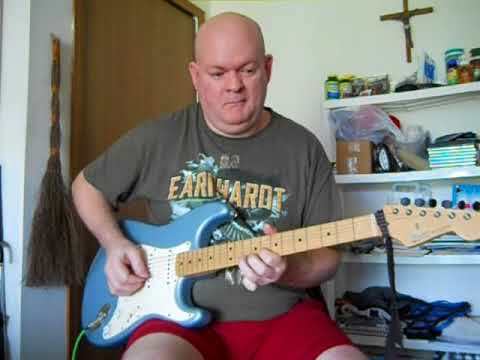 It's loud, fast, heavy, rippin' good; and it even contains a small excerpt tribute to another famous tune....enjoy it, my friends!!!! 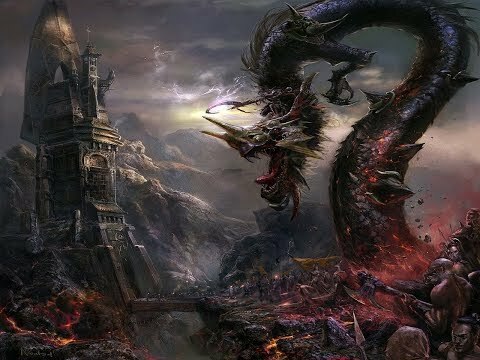 Here is a Neo-Classical Metal song I wrote a few years back, and it finally came out sounding pretty darn in your face kinda good....lots of cool guitar harmonies and Rockin' rhythms. Enjoy!!!! 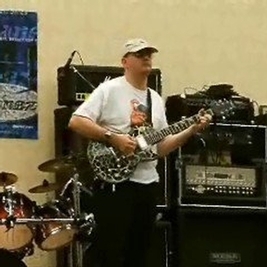 Here is a Shred-Metal Classic I wrote a few years back dedicated to my Brother Jeff called "Brothers Forever". I finally, after all of these years, got it to sound the way I have always wanted it to sound....turn it up all around the world!!!! Here's a little Classical Guitar diddy I wrote under the Mij Sugen name called "Soulstice"....enjoy!!!! 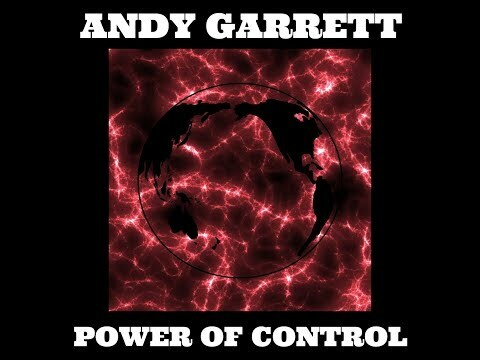 It is influenced by guitarists Randy Rhoads and Steve Howe. Here's a Rockin' instrumental version of the Mij Sugen classic "Beat the Bishop"....one of the funnest songs I have ever played on and recorded. Cheers to all of you!!!! 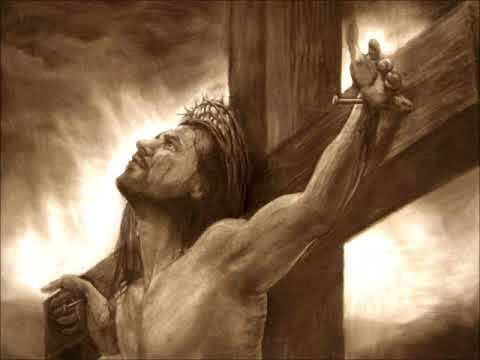 Here's another song recorded under my alter-ego named Mij Sugen called "Silver Cross". 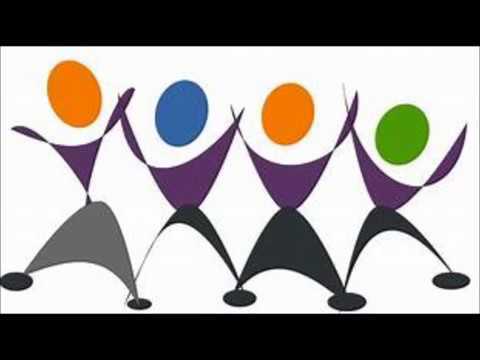 Very few people have ever heard this one before....and it never sounded like this. Crank it up!!!! Welcome to 2018, everyone. 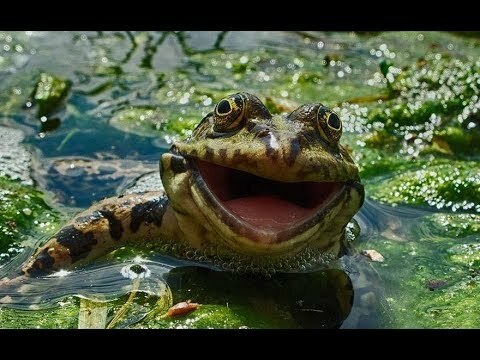 Here is a brand new recording a of a short little diddy called "Poodies are for Frogs" from my alter-ego named "Mij Sugen". Gonna have some fun this year....crank it up!!!! It's been an amazing year, but I am already much more excited about the next one. 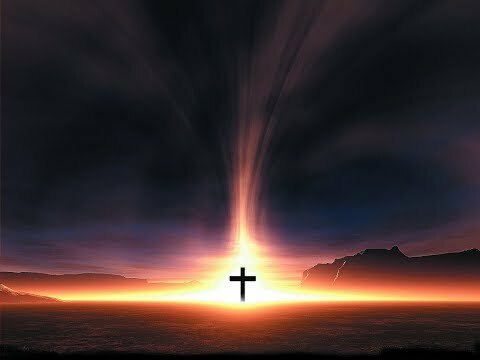 May you all be blessed, safe, and find more happiness in life than you ever have before. Happy New Year 2018!!!! 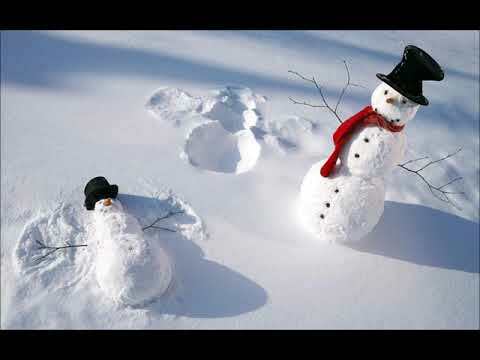 Here is another song from my "Christmas Classics" album for your holiday enjoyment. Be grateful for this time we have together!!!! 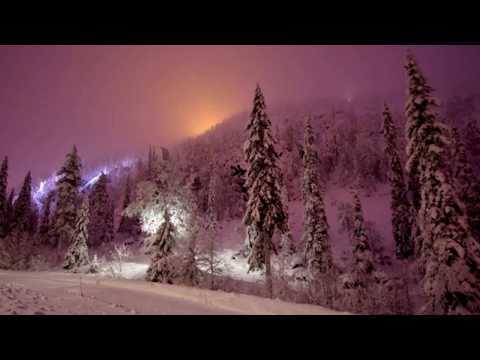 Here is another song from my "Christmas Classics" album for your listening pleasure. Never forget the true meaning of this holiday season as we enjoy those around us!!!! 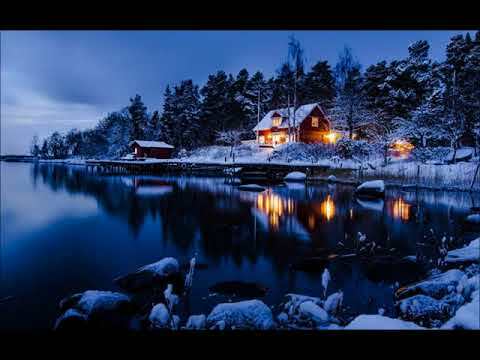 Here is another tune from my "Christmas Classics" album for your enjoyment. I hope it adds some special joy to your world during this very special time of the year....cheers to all of you!!!! 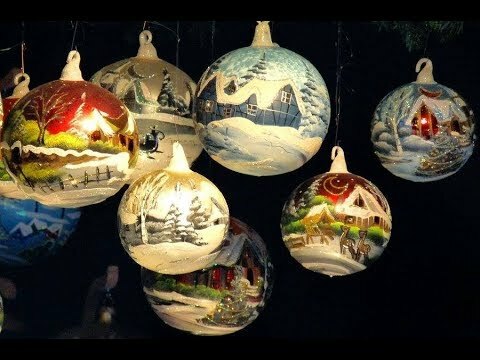 Here is another Christmas tune for your enjoyment. I feel very Blessed to have crossed paths with each and every one of you. 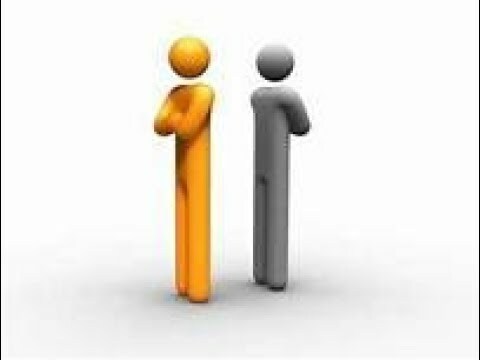 We all meet for a reason, whether in real or virtual life!!!! 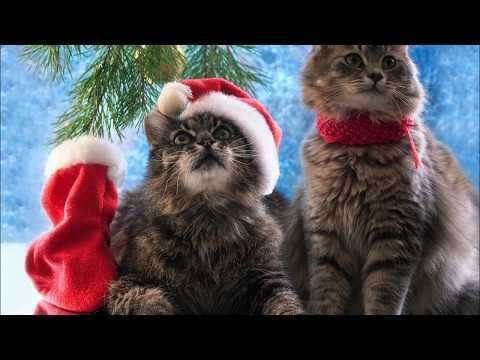 Here is another holiday tune for your enjoyment. I hope this year's season is the best one ever for you, for we are all here for a reason and blessed with each other!!!! Once again, we seem to have entered the Christmas season. Life sure goes by way too fast. 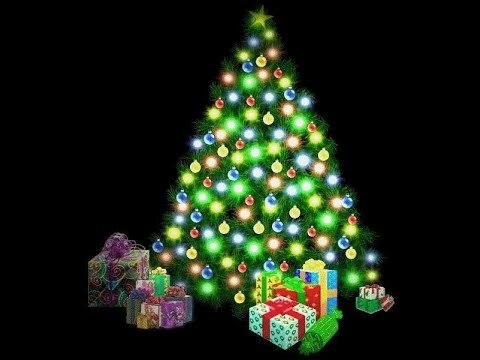 For your enjoyment, here is a song from my Country style "Christmas Classics" album (which has always been my Dad's personal favorite). Climb aboard the "Travis Train", everyone....and enjoy the guitar finger-pickin' on this awesome day to be alive!!!! Happy Saturday, everyone....and enjoy a little guitar pickin'. If the music doesn't put a smile on your face, the photos surely will....cheers!!!! Going to switch gears here with some Country Guitar finger-pickin' and bottle neck slide style for your entertainment. 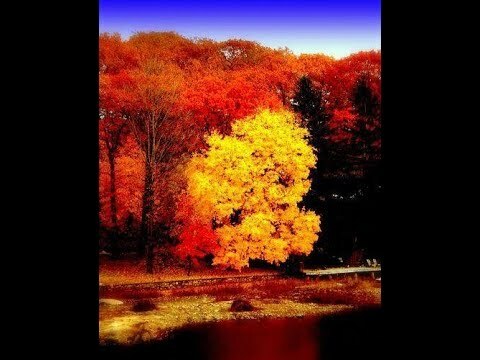 Also, enjoy a relaxing photo slide show of Fall beauty!!!! Here's a brand new vinyl version of our Rock Anthem "False Religion", from the band I've always been proud to be part of called "Horizon"....summing up everyone's frustration with current politics, dictators, and the constant looming threat of world war. May we all be blessed and continue to rise above it all!!!! 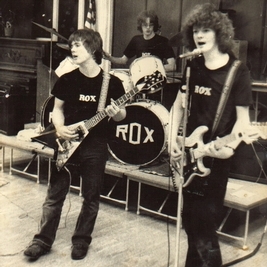 (Andy Garrett - guitar, Jeff Roberts - drums, Floyd Pollock - vocals, Paul Blanton - bass). Here's a brand new vinyl version of the song "Try to Stand Still" from the band I'm in called "Horizon"....I hope it makes you get up and dance!!!! Here's a brand new vinyl version of the song "Melody of Life" from the band I'm in called "Horizon"....I hope you like it, my friends!!!! 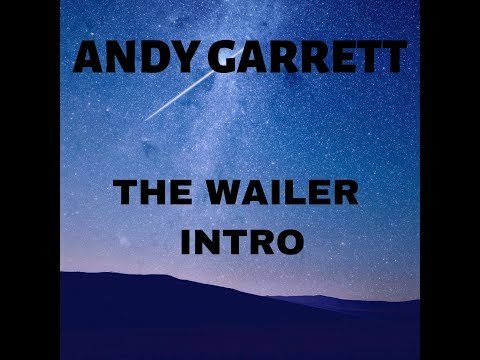 Here's a brand new demo dedicated to all of my musical friends who wail on their instruments....enter the realm of "The Wailers"!!!! Here's a brand new demo of the original Rocker called "Music Makers". This one will make move....enjoy the eye candy, too!!!! Here's a brand new demo of the original Rock song "After All We've Done". Enjoy it as you journey through your most important day of life....today!!! !